Located in The Silverlink Shopping Park where major stores include M&S, New Look and Rosebys. For nearby Food and Drink you could try Frankie and Benny’s, Starbucks, M&S Cafe, Macdonalds or Pizza Hut. Silverlink Shopping Park is on the A1058, which can be accessed via the A1 or A19 and there is over 1,500 parking spaces – all of which are absolutely FREE! 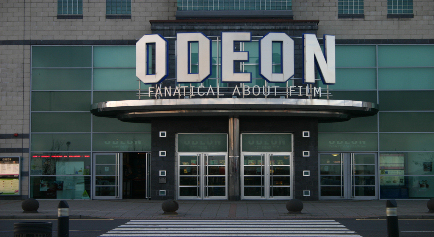 The Odeon Cinema at Silverlink has 9 screens. Our cinema times are updated every day and you can click to book direct with the Odeon.